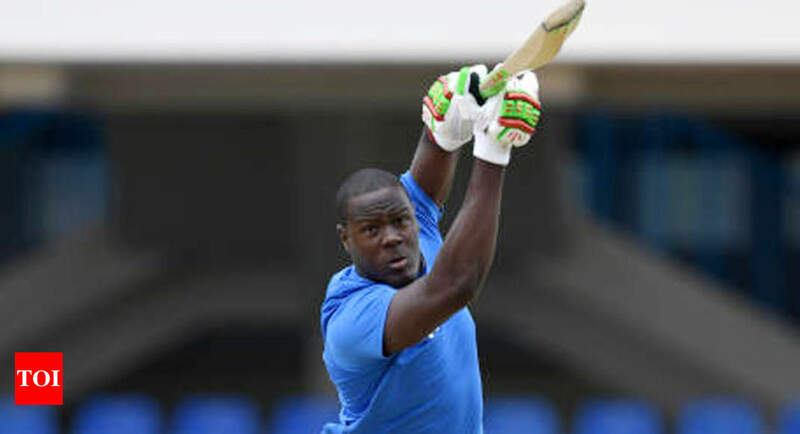 Times of India – KOLKATA: West Indies’ T20 skipper Carlos Brathwaite Thursday sweated it out at the Eden Gardens , a ground where his four successive sixes in a World T20 final made him a household name. KOLKATA: West Indies’ T20 skipper Carlos Brathwaite Thursday sweated it out at the Eden Gardens , a ground where his four successive sixes in a World T20 final made him a household name. The other members of the Windies T20 side who were seen training included Darren Bravo , Khary Pierre, Nicholas Pooran, Denesh Ramdin and Sherfane Rutherford. Both the players found their names in the T20 squad after their impressive outings in the CPL.